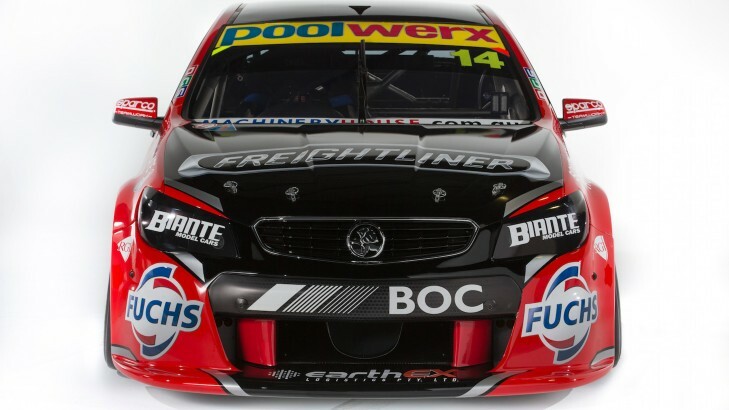 Securing Freightliner on a multi-year deal will play a key role in the establishment of Brad Jones Racing as a V8 Supercars Championship contender, says team owner Brad Jones. 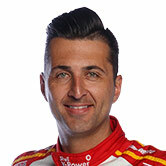 The truck brand replaces Lockwood on the #14 Holden Commodore VF of Fabian Coulthard for 2015 and is committed to the Albury team as a naming rights sponsor for a minimum three years. The early announcement of Freightliner is a key brick in the wall for the team's future planning. Confirmation is also expected soon that Jason Bright will return to race the BOC Commodore next year, while Dale Wood is also due to soon be announced as continuing for a second year in the team's third Holden. "Having Freightliner commit to us for a number of years is invaluable because it gives us the chance to forward plan, which I am really excited about," said Jones. "It is great to be able to lock something in before Christmas. "It means we don't have to worry about what name will be on the side of the car in 2016 or '17and instead concentrate on developing the cars to go faster." BJR has emerged from the pack in the last two seasons, winning races via Coulthard and Bright in both 2013 and 2014. But it has been unable to find the consistency to challenge for the championship either year. Heading into the December 5-7Sydney NRMA 500, Coulthard runs sixth in the championship, the same position as he finished 2013. Bright is 13th in the title chase after a horrendous start at the Clipsal 500 when he was tripped into a roll and his Commodore was destroyed. "To be at the front end of the field you need to risk everything for reward," said Jones. "So a lot of the time we would be planning on things but not being able to execute because you don't want to commit until you know you have the income. "Since we have locked this deal away it's something I am already working with the team back at home to make sure that we have the research and development side of the business and planning side of the business full steam ahead." Jones said it was too early to go in to the detail of just where the Freightliner investment would boost the team's development ability. BJR has always been highly respected for its ability to run competitively with less staff than some rivals. It also is well regarded for the capability of it engineering brains trust led by Phil Keed, Andrew Edwards and Wally Storey. "Research and development is almost like an endless piece of string," Jones said. "As everyone gets on to the different componentry bits you are looking for a smaller and smaller advantage and trying to piece all those parts together. "I think we are fairly aggressive towards that at the moment and we are doing things to try and open that up a little bit more, so I think it (the Freightliner backing) will be a big help." Jones used the example of the development of the latest Triple Eight front-end that debuted on the BJR Commodore mid-season and took some time to sort out, as something that a guaranteed income stream would help resolve more quickly. "Having that continuity just gives you the ability to activate regularly and that's how I see it helping us. "There are a number of niggly little things around the car we are working on and I feel we are making the right decisions to get the progress happening." John Bowe: Welcome home Marcos!